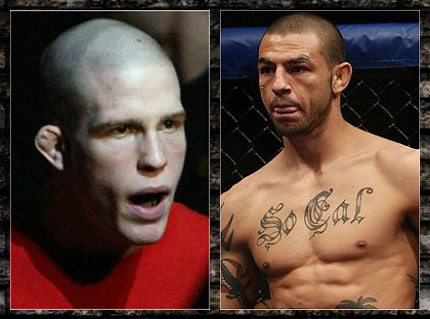 Two more WEC standouts are making their way inside the Octagon, as Erik Koch and Cub Swanson meets at UFC 132. UFC confirmed last Tuesday that UFC 132 will headline a bantamweight title fight between current champion, Dominick Cruz, and Urijah Faber. In addition to these, the promotion included two more former WEC standouts to the July 2 bout. Erik Koch took home the Knockout of the Night award by taking down Raphael Assuncao. He is carrying a three-fight winning streak since his unanimous decision loss to Chad Mendes. Meanwhile, Cub Swanson will step inside the Octagon for the first time at UFC 132. His last appearance earned him a split decision win over Mackens Semerzier at WEC 52. The UFC 132: Cruz vs Faber II will take place on July 2, at the Mandalay Bay Events Center.